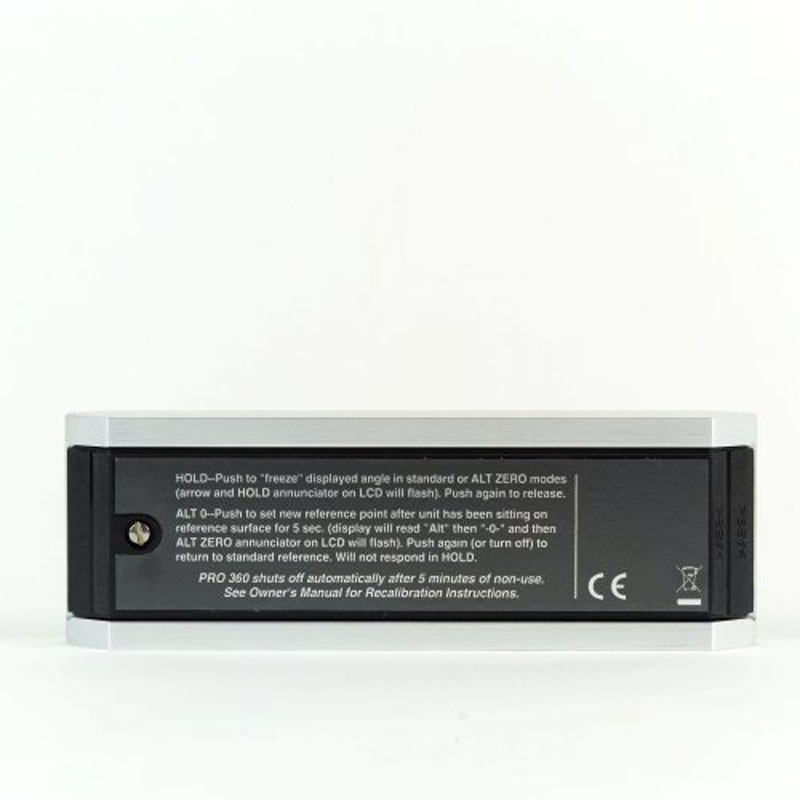 PRO 360-NO LOGO W/CASE – M-D Building Products, Inc. 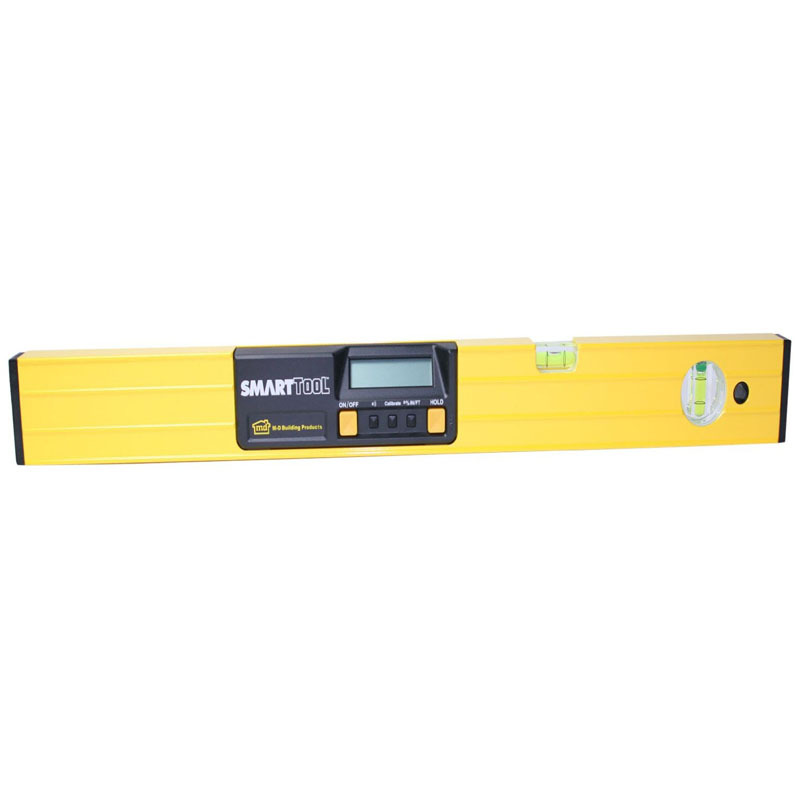 The revolutionary Pro 360 Digital Protractor measures a full 360 degrees, not just level and plumb at up to 0.1-degree accuracy and 0.1-degree resolution. The proprietary, proven, award-winning sensor has been sold in over one million units. The liquid filled sensor is assembled in the USA by operators with over 350 years of combined electrical assembly experience so quality is unparalleled. A hold button freezes the reading on the display for hard to see measurements. 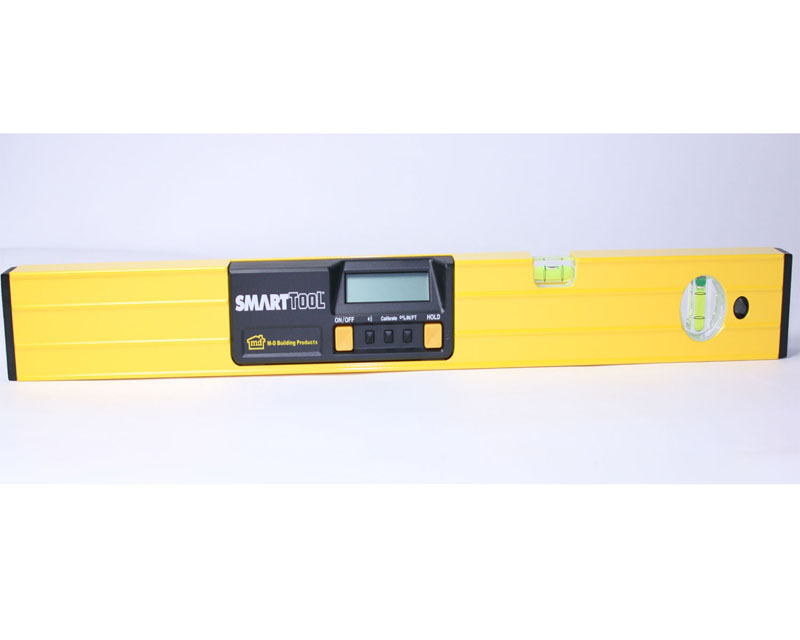 Zero can be reset to any angle which provides for quick measurement comparisons. This “alternate zero” function also makes it easy to copy any angle setting for things like rafters, handrails, or items that need to be made parallel. The patented, easy, one button calibration resets accuracy to factory specifications with no special tools on any relatively level surface. 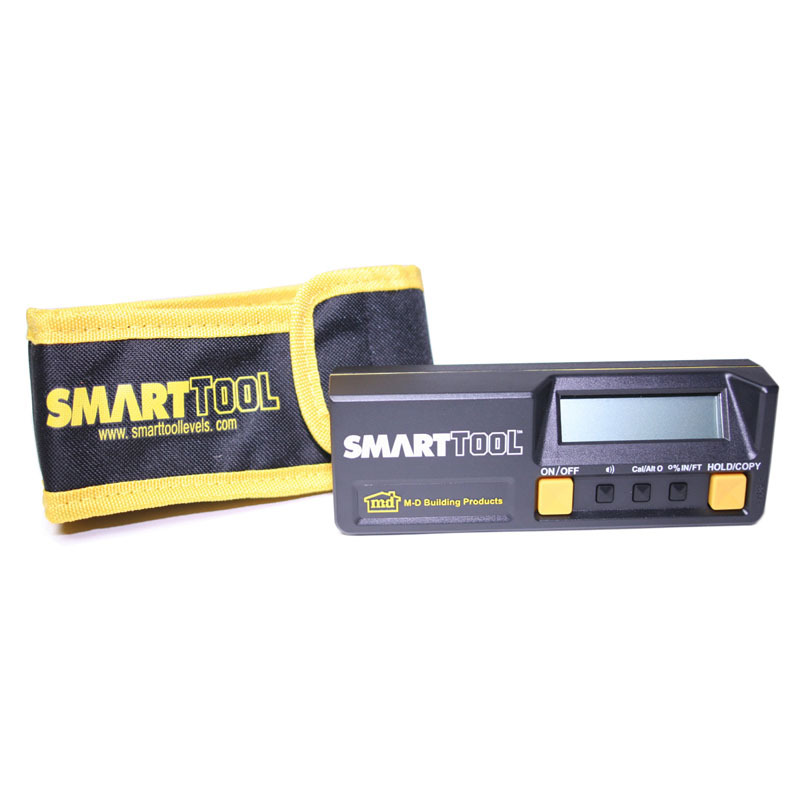 Many uses including instant, accurate measurement of saw blade angles, aircraft flaps, automotive drive shafts, race cars, motorcycles, ADA measurements of ramps and handrails, hobbies like model railroading, woodworking, and metal working. Inspectors are able to record the actual reading of any angle in tenths of degrees for easier reporting or settling disputes. It’s small, lightweight design is perfect for use in tight spaces. The rudded integral aluminum frame assures a product that will provide years of trouble-free service. 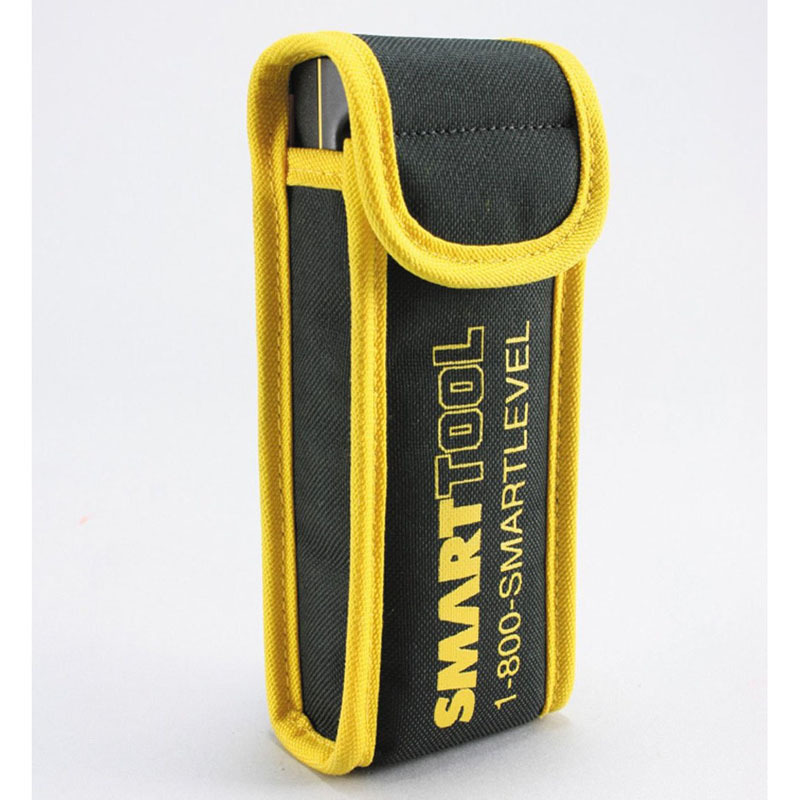 The Pro 360 ships with a 1-year warranty and a 9-volt battery in a hard plastic carrying case. Don’t accept cheap, inaccurate knockoffs who claim specifications they can’t meet. 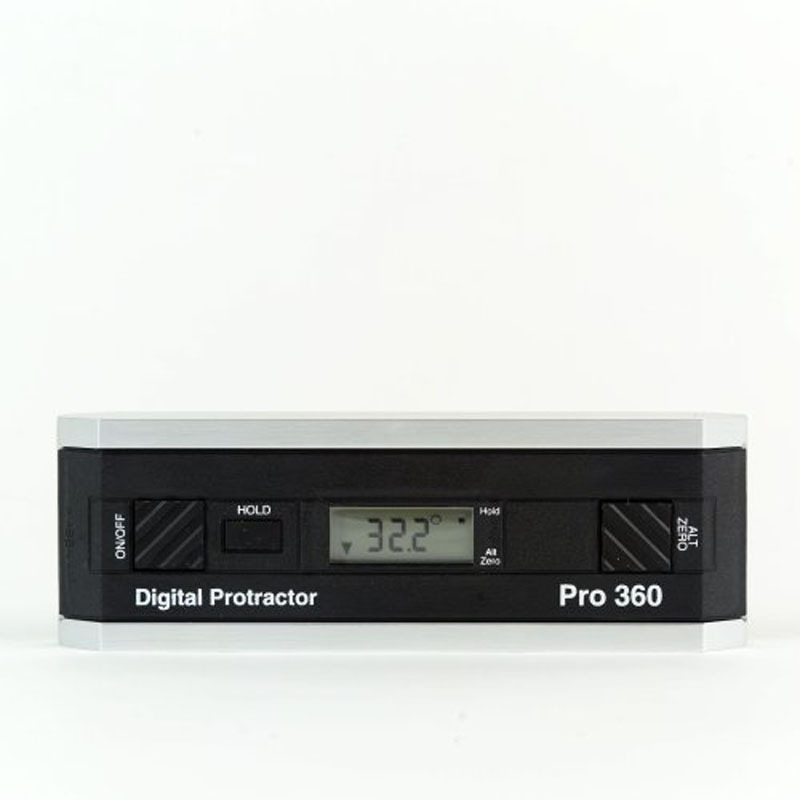 It feels good knowing you have the best, the original Pro 360 Digital Protractor.